KY-945 Wilson Creek Bridge Replacement - Bacon Farmer Workman Engineering & Testing Inc. 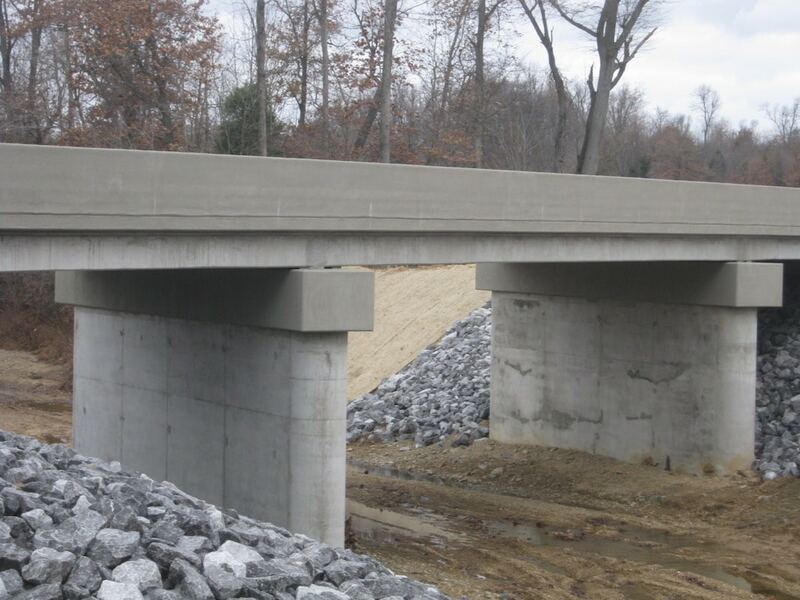 This project consisted of the replacement of an existing structure on a state highway. The project required the replacement of the existing 3-span structure with cast-in-place beams, wooden piers, concrete railings and vertical abutments, due to low sufficiency ratings. A hydraulic analysis of the existing creek was performed to explore various bridge and span designs to determine the best solution for the proposed structure. The existing roadway had two 9.5 foot lanes with 1 foot of earth shoulder and was upgraded to two 11 foot lanes with 5 foot paved shoulders to accommodate the increased ADT demands. This project utilized an offsite detour with state routes to maintain traffic throughout the length of the project.